With a fetish for temperature precision, Sushi Nanba presents you with delectable morsels of seafood and rice whose formulation has been calculated down to the degree. The terse chef needs few words because his handiwork does all the charming. With traditional Japanese taste in a modern setting, Sushi Nanba harnesses the exquisite qualities of the rice to really show off the incredible seafood flavors. Previously tucked away in the suburban neighborhoods of Ogikubo and Asagaya along the Chuo train line, Sushi Nanba made its entrance onto the main stage in spring 2018. Chef Nanba has had no trouble filling seats since the move, tantalizing the taste buds of many who can’t get enough of his unique sushi, in which subtle temperature changes in the rice perfectly complement each variety of seafood. First opening in Ogikubo in 2005, Sushi Nanba shifted five years later to the equally suburban Asagaya, but that didn’t stop gourmands from trekking to eat his cuisine. In 2018, Nanba made the bold move of relocating into the new combined retail and commercial space of Hibiya Midtown, near the Imperial Palace and the Imperial Hotel. And with the likes of traditional and modern Japanese greats such as Hyotei and Ryugin, Chef Nanba finds himself in fine company. Calm and quiet descends the moment you step away from the mall into this space where seating consists of a private four-person counter and the main counter for eight made from an incredible broad seven-meter plank of precious Kiso Hinoki Japanese cypress. Black marble dressed with a stunning rug evokes a distinctly modern Japanese impression. 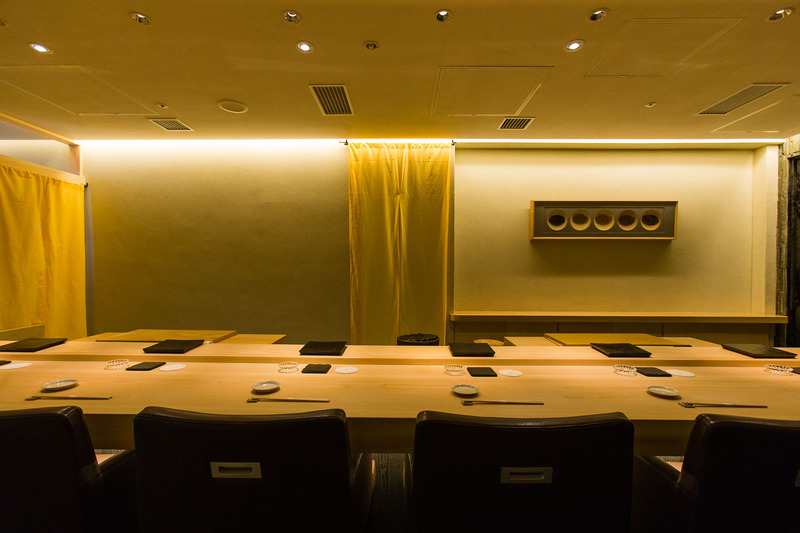 While many sushi restaurants are constructed in the traditional Japanese teahouse style, Nanba made a point of creating a fun, relaxed interior so guests wouldn’t feel intimidated. The minimalist space is the perfect backdrop for a captivating display of tableware behind where the chef stands at the counter. They are the works of Nanba’s beloved artist and potter Rosanjin from his series of Shigaraki leaf plates, which have been framed by a Kanazawa artisan. Their display resembles the modern lettering employed in the restaurant’s logo NANBA, the chic design of which adorns the staff’s work coats. Taking a seat at the Sushi Nanba counter, each guest is greeted by a personalized note from the chef alongside a list in English and Japanese of the toppings available that day and the respective temperatures at which they will be served. He makes no secret of his fetish and the numbers are like clues on a map leading you to his treasure. For both lunch and dinner, the chef’s omakase course consists of seven to eight appetizers followed by no fewer than fourteen nigiri sushi pieces. 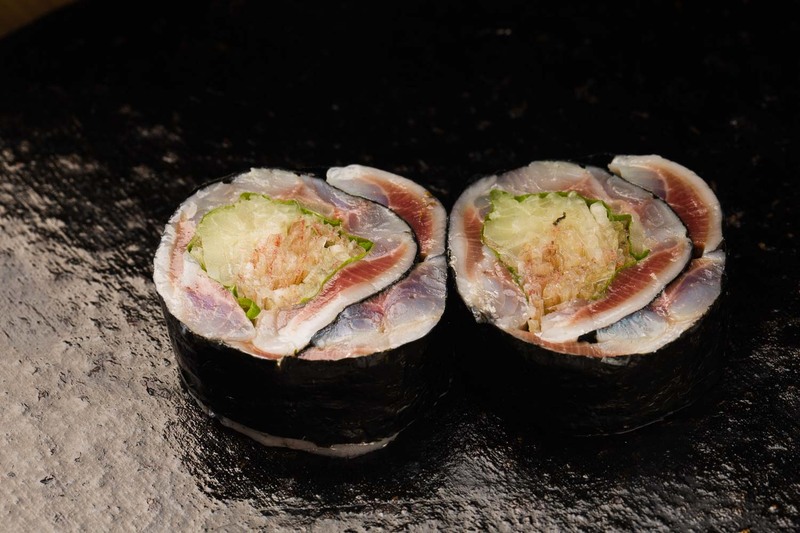 To Chef Nanba, sushi is 80% about the shari, the gently pressed rice ovals on which the seafood rests. That is why he is obsessive about rice. Firmness, viscosity, sweetness, salt content, and depth – all are examined for their complementarity with the exquisite seafood Nanba secures at Tsukiji market every day. He seasons generously with vinegar in summer and gently in winter. But the most important factor? Temperature. 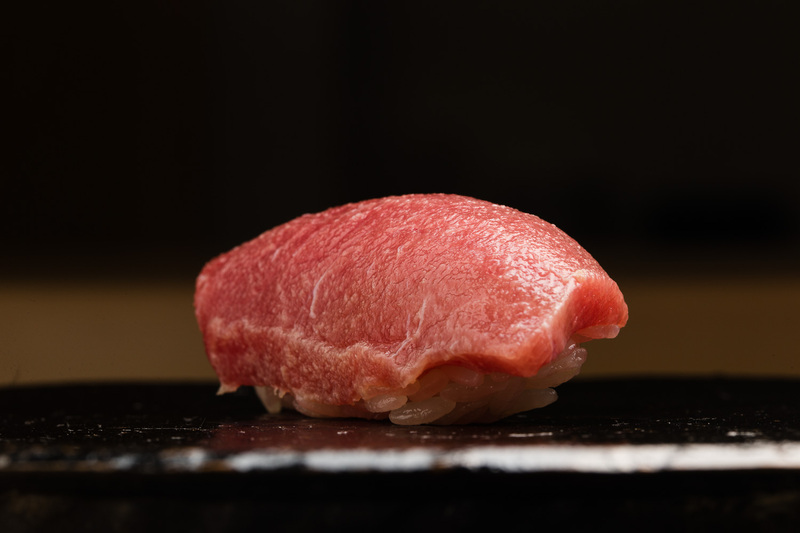 For instance, marbled sole must be 19°C atop a 36°C shari; the same 36°C rice oval used for Japanese egg cockle, but in that case the shellfish flesh should be just 15°C; and toro fatty tuna is rested to 21°C before being placed atop rice at 40°C. 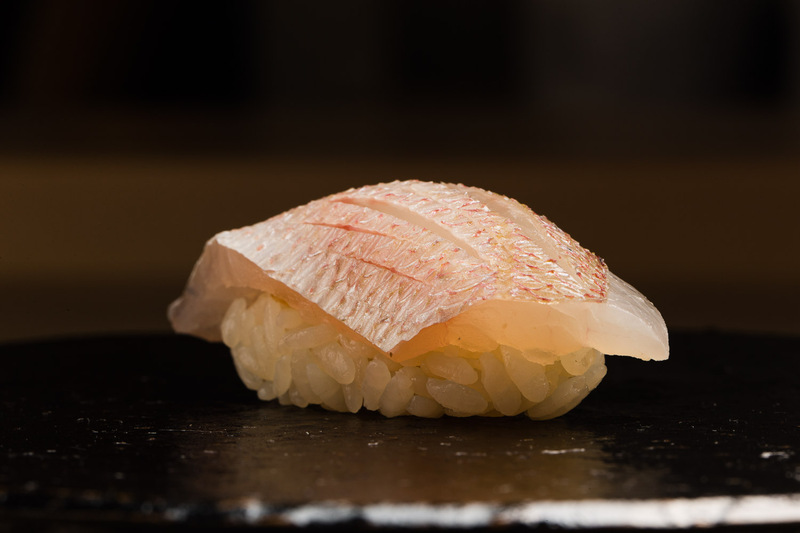 In general, the rice temperature should be slightly lower for white-fleshed fish and shellfish, and the warmer temperatures better showcase the umami in varieties such as deeply flavorful fatty tuna and anago conger eel. It’s an exacting science. It’s mind-boggling just thinking about how Chef Nanba manages these minute temperature variations as he stands before multiple guests wielding his skills. And for guests, it is sheer dreamy pleasure as the sublime flavors of each lightly pressed sushi bite unfolds in their mouths. The seafood variety also determines the vinegar seasoning in the rice: red vinegar rice ovals are used for the rich-flavored and silver-skin fish like gizzard shad, while lighter toppings such as white-fleshed fish are perfectly complemented by slightly sweet rice vinegar. In an unexpected twist, Nanba always serves his tuna atop rice seasoned with the lighter rice vinegar. 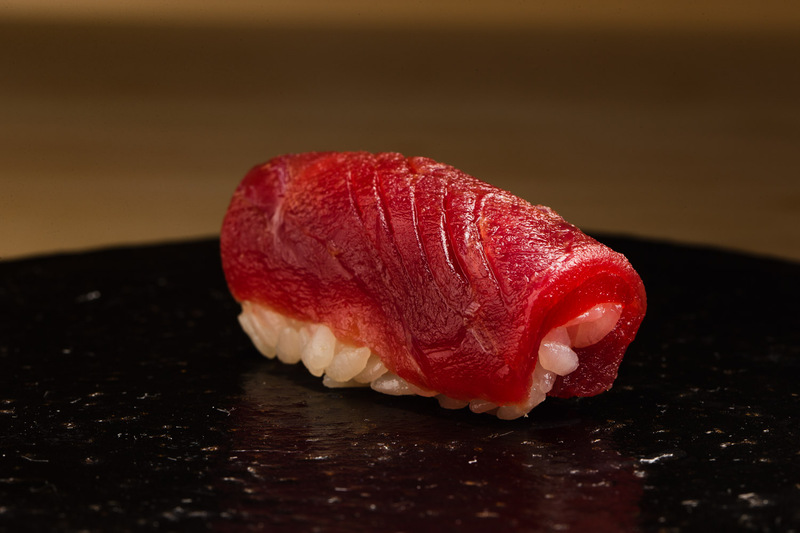 A Kesennuma, Miyagi Prefecture net-caught 115-kilogram tuna may yield the akami lean flesh and toro fatty tuna during your meal, which are both shaped in the chef’s hands with a view to hit all the key spots on your palate. Rich in fish oils, gizzard shad from the Amakusa islands of Kumamoto in Kyushu is rested for three days to give it a delicious, succulent texture. 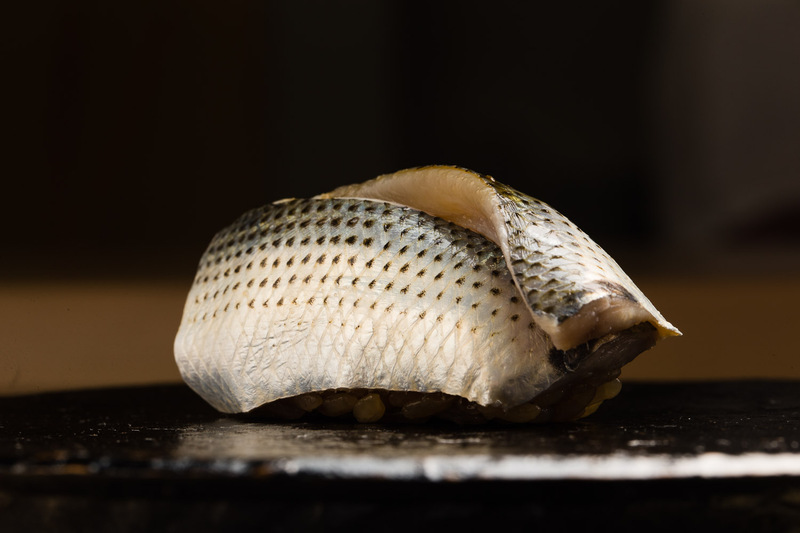 Fished from the waters off Demizu, Kagoshima Prefecture, kasugo young sea bream has been infused with the savory aromas and flavors of kombu kelp. 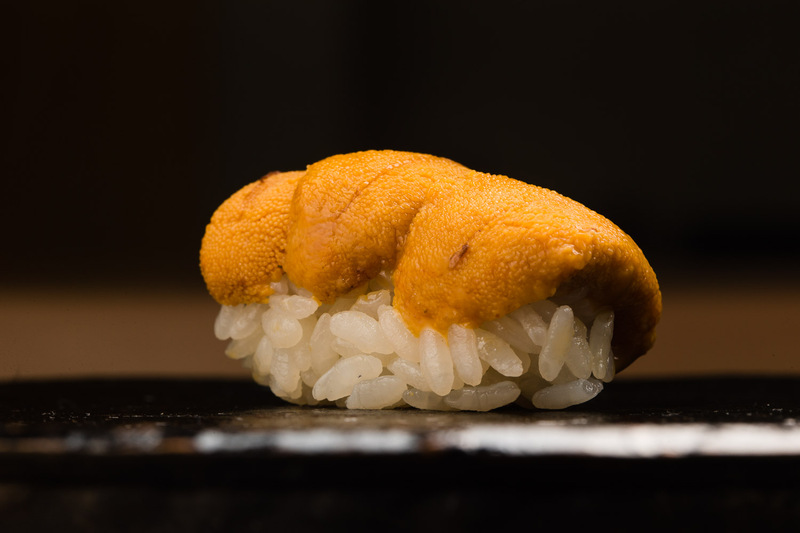 Fresh sea urchin from Miyagi has a delicate, creamy mouthfeel, and no one can go past the luscious texture of monkfish liver in from Hokkaido, prepared in a soy-based sauce accented by mirin and other traditional Japanese seasonings. 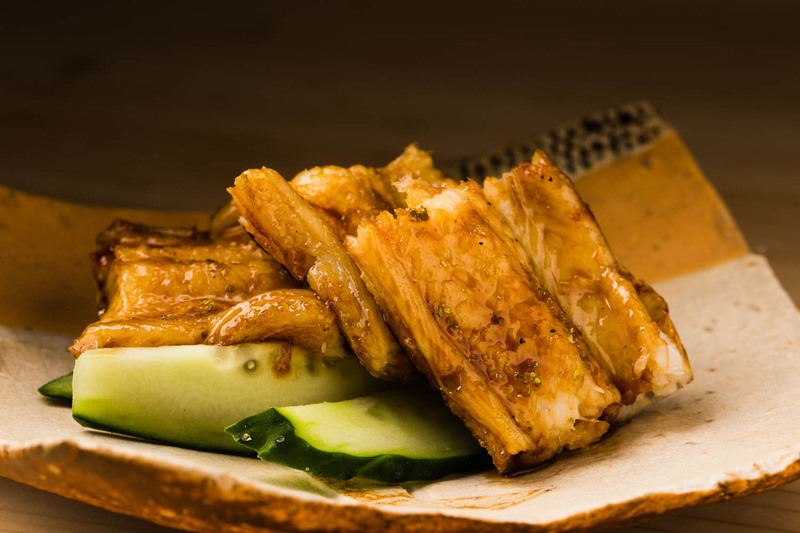 Generous pieces of Tsushima anago conger eel basted with an umami-rich sauce made from its own stock and topped with stoneground sansho Japanese pepper is served with delicious crunchy spears of cucumber. Freshly caught sardines flown in from Nemuro, Hokkaido, are lightly seasoned with vinegar, and wrapped in crisp seaweed with aromatics like shiso leaves, ginger and myoga Japanese ginger – a colorful feast for both the eyes and the palate. Having frequented Tsukiji market for the last 13 years, Chef Nanba has a strong network of trusted suppliers for his diverse selection of seafood. 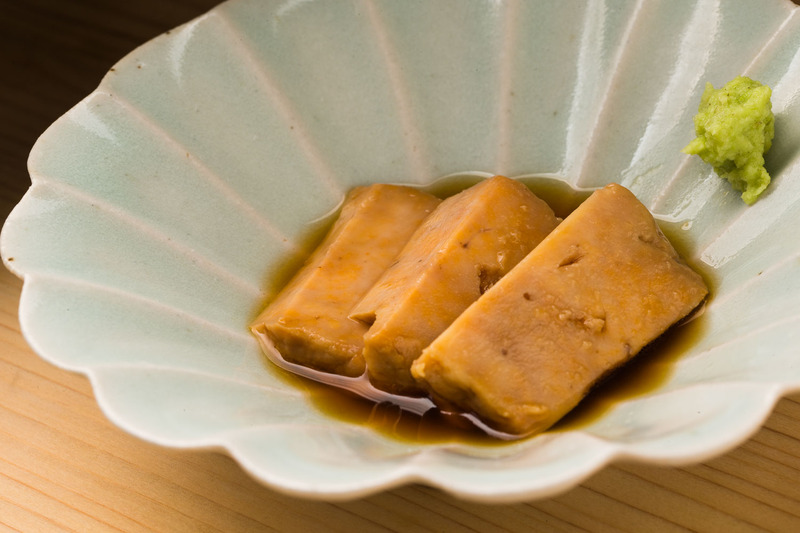 Toyonaga is his go-to for tuna, but it has to be Watanabe for abalone. Everything else is supplied by Tsukasa Suisan. His seaweed is the best from Ariake, Kyushu; Nanba’s favorite tuna is the winter kind – fresh longline-caught in the Tsugaru Strait, which separates Honshu from the northern island of Hokkaido. Nanba’s rice is all slow-aged Koshihikari, packed with umami and enhanced by vinegars such as Mizkan’s Shiragiku or Yohei by Yokoi Vinegar Brewing Co., the only vinegar maker based in Tokyo. When giving his sushi pieces their finishing touch, Nanba brushes ever so gently with his intensely-flavored soy sauce reduction. The thick, glossy, sweet sauce topping the eel is made from stock extracted during the conger eel and abalone preparation processes. Chef Hidefumi Nanba, who was born in Tokyo in 1974, can’t remember a stage in his life when he wasn’t enamored of sushi restaurants. 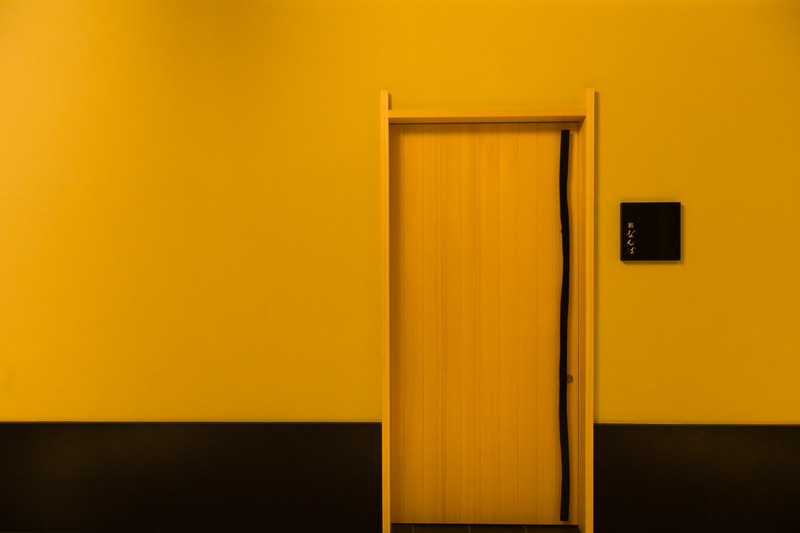 He began work as an apprentice at a small sushi place in Ogikubo aged 20 where he learned the fundamentals and practiced his skills for four years. He then hopped around several central Tokyo sushi spots before going independent at age 32, back where it all began in Ogikubo. He shifted once to nearby Asagaya but subsequently yearned to share his sushi with a broader audience and determined on the new start in 2018 within Hibiya Midtown. He loves the balance of regular customers who have followed him from his humble beginnings with the plethora of new guests. The interior is in entirely new but it all feels very settled and comfortable with most of the staff unchanged from the Asagaya days. 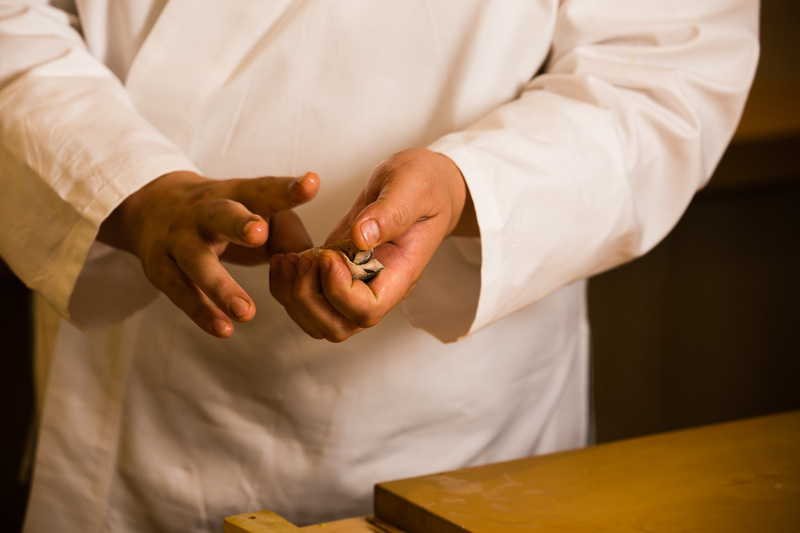 Obsessed with temperature, Nanba is adamant that the work of shaping sushi must be done speedily with just two hands. Any more and the ideal becomes impossible. The move has presented Nanba with busier days than ever, but he loves the chance to savor the countless cuisines now available at his doorstep in this new location. And when given the opportunity, he ventures out to Yamanashi for the fresh air and relaxation offered by his hobby mountain stream fishing. Most immediately in Chef Nanba’s sights is an aim to ride the full wave of his new space, given its key location for tourists and the opportunity that presents in terms of entertaining guests from around Japan and overseas. Those experiences will ideally serve as a launching pad for his future vision of taking his skills overseas to actively share the culture of sushi with the world. With four apprentices in his current kitchen and the Asagaya restaurant passed into the trusted hands of another former apprentice, there is no doubt as to Nanba’s efforts in training the sushi chefs of tomorrow, ensuring that the future of sushi is in capable hands. 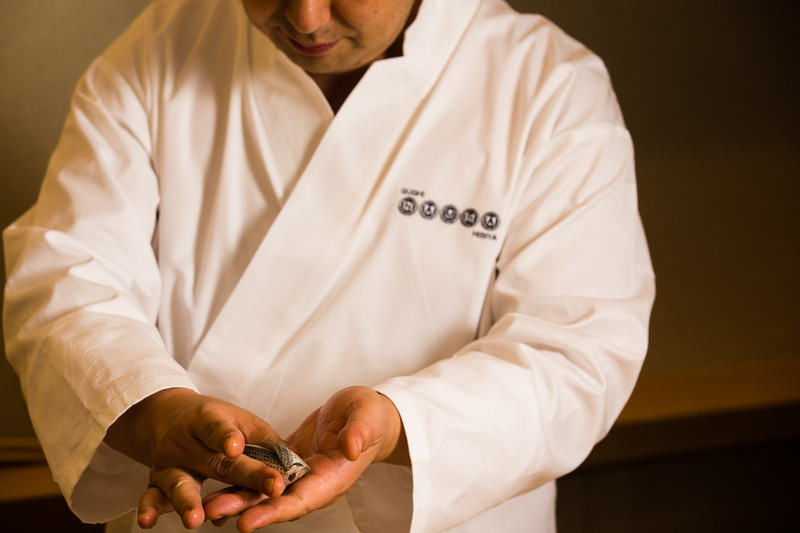 Chef Nanba selects crisp, clean, pasteurized Junmai sake varieties for their affinity with sushi. 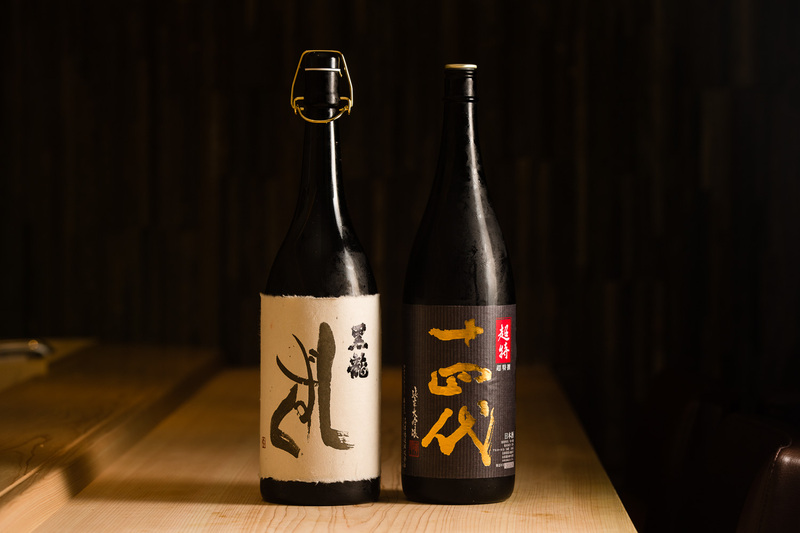 His regular collection of seven to eight varieties includes Kokuryu from the mountains of Fukui and 400-year-old brewery Juyondai, brands that even Nanba‘s foreign guests will be familiar with. 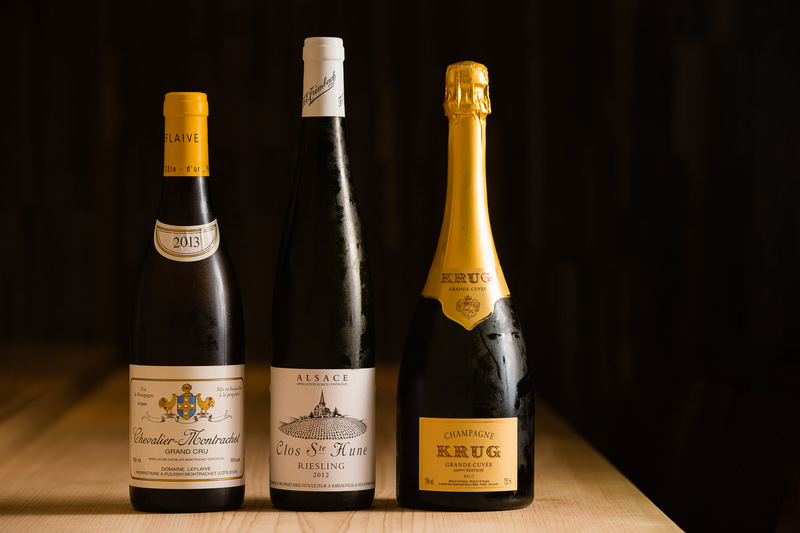 The foray into Hibiya has meant the inclusion for the first time of champagnes and wines in Sushi Nanba’s beverage list. Available by the bottle or glass, they are stylish and elegant, just like his guests.